We’re said to expect an unseasonably hot Summer this year, which means, thirst-quenching, cold bevies are in order! I was recently introduced to Henry’s Hard Soda and think that these adult beverages will definitely hit the spot. 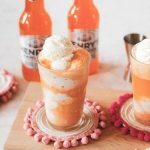 Henry’s is new to Canada and are available in orange and grape soda flavours and made from real cane sugar – perfect for summer! 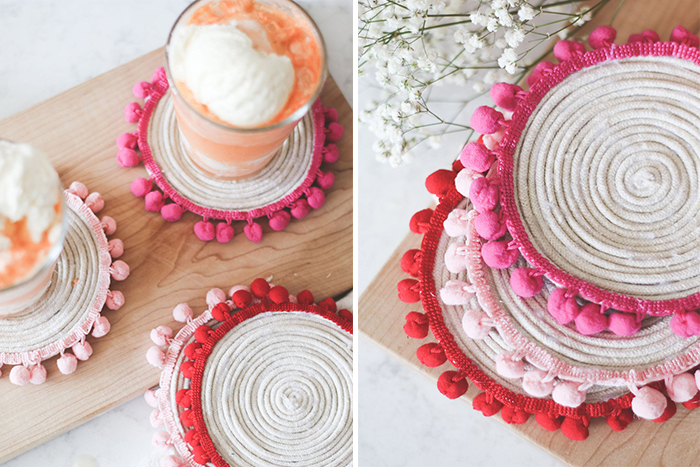 Inspired by this bright coloured and nostalgic orange flavour, I prepared these yummy and playful Henry’s Hard Orange Soda ice-cream floats AND created these simple DIY Pom Pom Coasters just in time for all the fun! 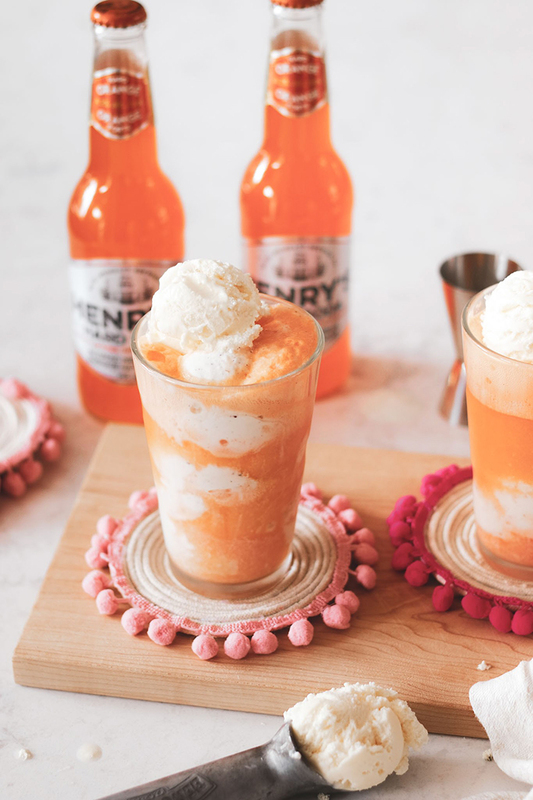 If you’re interested in adding this dessert cocktail to your party list, all you need is to fill your glass with 2-3 scoops of vanilla ice-cream, top with Henry’s Hard Orange Soda (ABV: 4.2%) and they’re ready to be served! 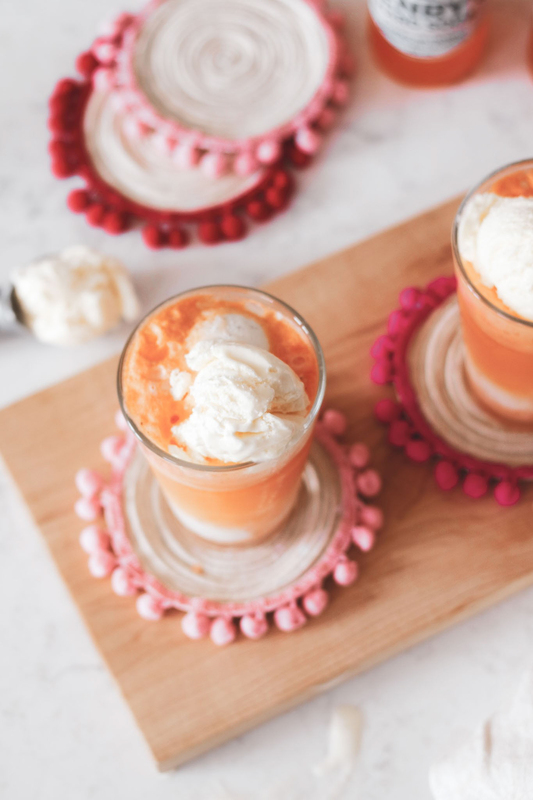 These ones were made with the orange flavour but they work great with their grape flavour too, both flavours will remind you of the fun ice cream floats from your youth but now you can have them with an adult twist! 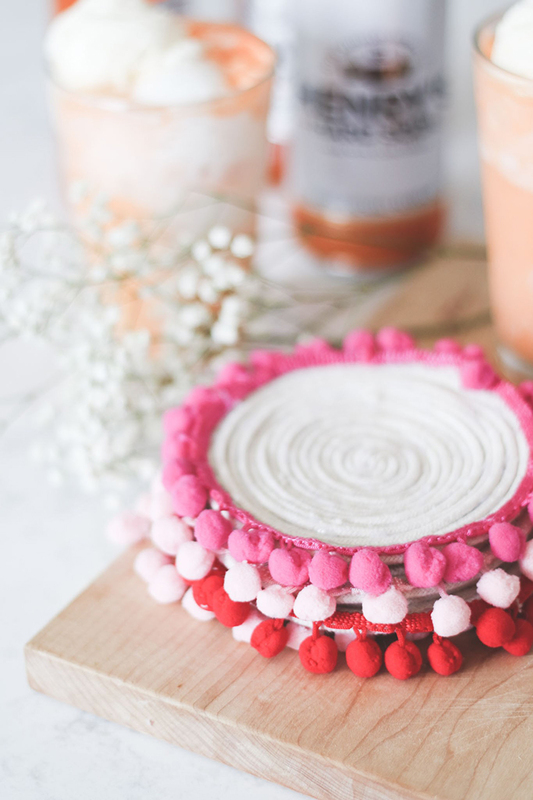 And how cute are these DIY Pom Pom Coasters?! They are honestly the simplest of projects and requires entirely zero crafting skills. If you’ve got a hot glue gun and some crafting rope at home, then my friend you’re all set! Be careful with using a hot glue gun! 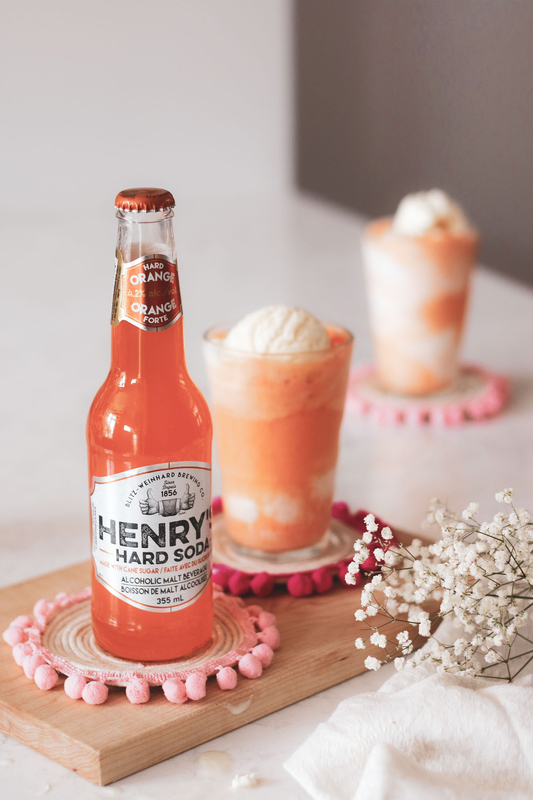 I’m thrilled to be partnering with Henry’s Hard Soda (available in orange and grape flavour) over the next few months to share more DIY and summer entertaining ideas with you! 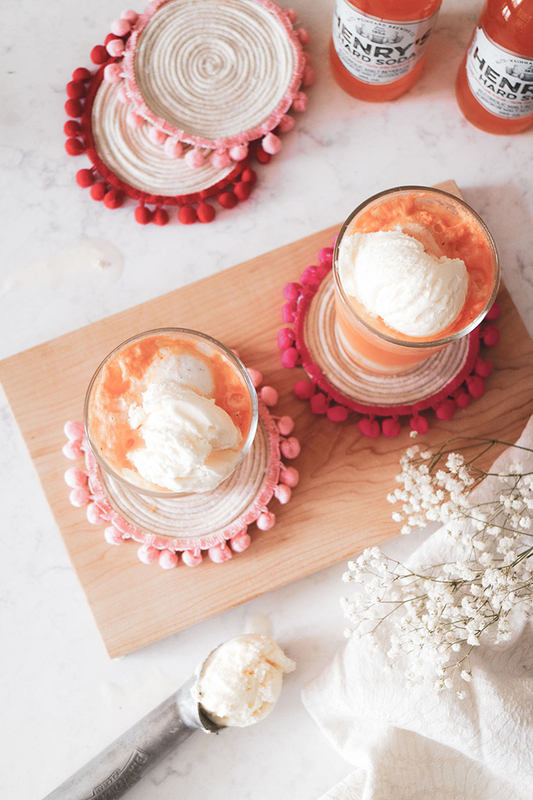 Don’t you think these spiked soda floats and coasters are the perfect match? !